Karen Joy Shaw, Ph.D., is CSO at Amplyx Pharmaceuticals, a company that is developing a first-in-class, broad-spectrum antifungal agent for the treatment of life-threatening invasive fungal infections. She is also President of Hearts Consulting Group, where she provides a range of consulting services including antibacterial drug discovery and development. 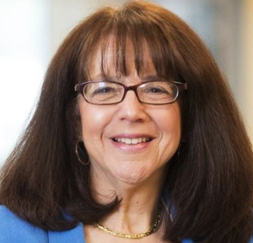 Dr. Shaw was previously Sr. VP of biology at Trius Therapeutics where she directed the microbiology development efforts for the tedizolid program (Sivextro), including presentation at the FDA advisory board meeting in March 2014. She was also an integral part of the discovery of the novel, broad-spectrum class of inhibitors which target DNA Gyrase/topoisomerase IV (TriBE inhibitors). Prior to joining Trius, Dr. Shaw was team leader infectious diseases at Johnson & Johnson. Earlier in her career at Schering-Plough Research Institute, Dr. Shaw initiated the use of genomic approaches for the discovery of novel antibacterial and antifungal agents, as well leading global epidemiology studies of aminoglycoside resistance. She earned her B.S. in biology from Brooklyn College and Ph.D. in bacterial genetics from the University of Connecticut. Dr. Shaw has over 80 publications in the fields of bacterial genetics and physiology, epidemiology of aminoglycoside resistance, microarray analysis of bacterial gene expression, oxazolidinone resistance and antibacterial drug discovery. She holds several patents on antibacterial and antifungal targets and assays.